What role did food play growing up? I was a fairly picky eater growing up. In all honesty, I really still tend to have very simple tastes: meat, potatoes and, of course, pizza. As a kid, food definitely played a social role in my life. I probably began to eat a lot more diverse foods when I started driving in high school. We’d go out and grab as much food as we could and just hangout. My friends and I used to go to Taco Bell, multiple times a day, in fact. We’d hit the drive-thru or just hangout in the parking lot. 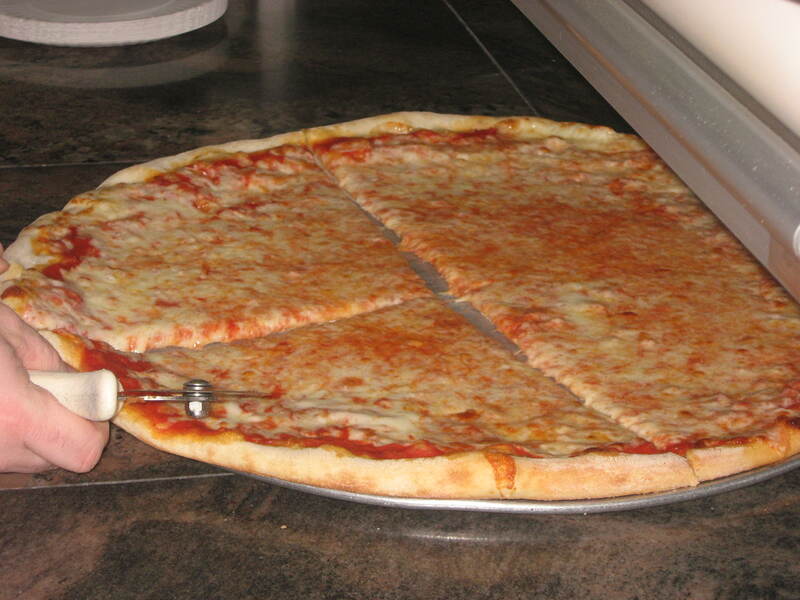 We’d hit up Marcello’s Pizza in Moorestown, New Jersey, and Brother’s Pizza in Cinnaminson (NJ). We’d always swing by the local 7-Eleven and Wawa, enjoying Slurpees and who knows what else. Heck, we’d even go grab some junk food at the Texaco gas station on Route 130 and just hangout, chomping away on high-calorie snacks, loaded with sugar and other stuff that wasn’t really good for us. Any fun food stories from growing up? Just the normal stuff teenagers do. We would have pizza eating contests all the time when we were hanging out. If you lost, you felt horrible because you ate so much and didn’t win. And, if you won, you kind of felt horrible, too, because you still ate way too much. We’d throw down a lot of slices back then. 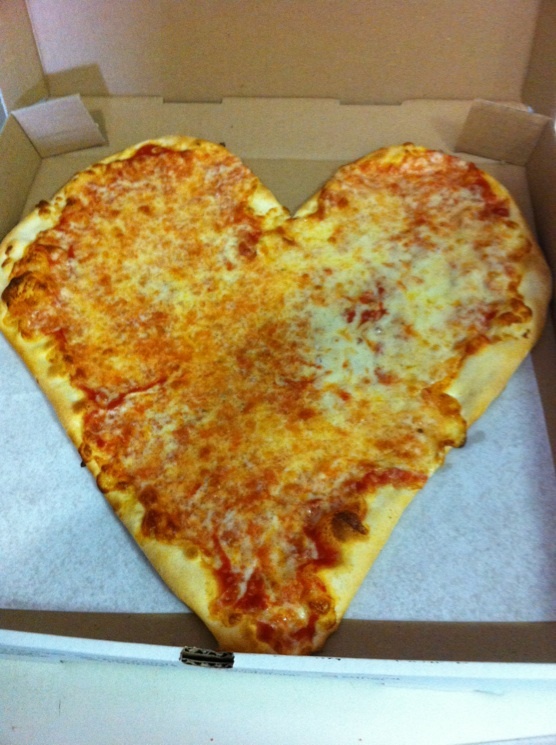 Obviously, pizza. That goes without saying. I golfed a lot with my dad, and we’d always eat hot dogs after the 9th and 18th holes. Normal stuff like grilled cheese sandwiches, Doritos and orange crackers, too. How did you end up in the food industry? Believe it or not, to be completely honest, I ended up where I am due to my amazing wife, Daniela. Her father, Sal Troia, moved to Brooklyn from Sicily, Italy. He didn’t have much, at the time, but he had some fantastic recipes. When my mother-in-law eventually moved out here to join him, they ventured to South Jersey and opened up their first pizzeria in Mt. Holly. They eventually ended up here in Delran and built up a really loyal following. When my father-in-law was getting ready to leave the business, his son, an attorney, wasn’t interested in the pizza business. So I straight up asked my father-in-law if I could take over. There I was, this Irish son-in-law, asking my first generation Italian father-in-law if I could take over his pizzeria. You should have seen his face. We still laugh about that today. So now you have an Irish guy in charge of an Italian pizzeria. Ain’t America grand?! Coincidentally, I had actually worked at pizzerias in Long Beach Island (NJ) and in the Cinnaminson area for eight years, doing everything from delivery to kitchen work. So the pizza business wasn’t foreign to me whatsoever. Tell us a little more about your father-in-law’s recipes. For someone to get into the industry the way I did, I really got lucky. My father-in-law Sal’s recipes are outstanding. Most of the dinner and pizza recipes are all his. He never was one to write things down. So he taught me the right way to mix everything up, from the sauce to the pizza dough. The recipes are all in the head. When I took over, I added a few of my own recipes: buffalo wings (because I’m a big sports fan), homemade soups and even panzarottis (deep fried small calzones, for those who didn’t grow up in a panzarotti area). 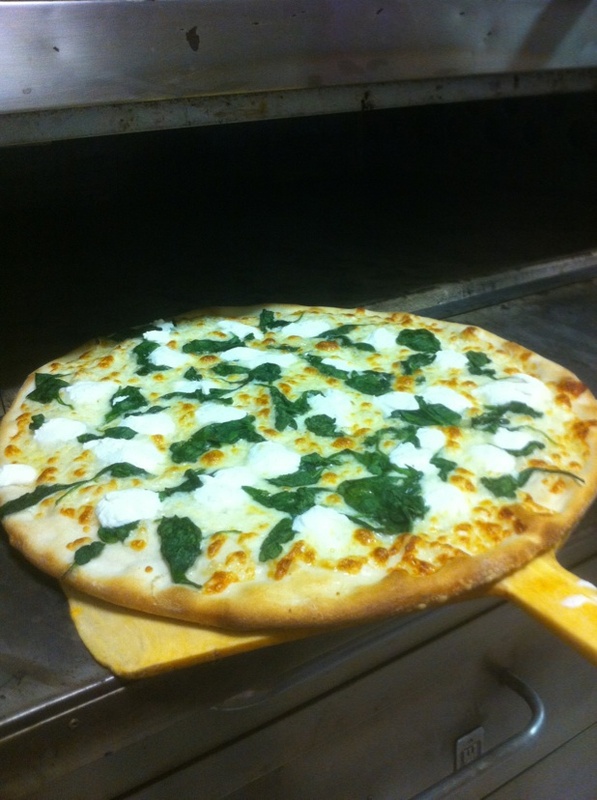 We even added whole-wheat pizza dough for our customers who enjoy that style. We take great pride that all of our soups and sauces are made from scratch, and all dinners are made to order. We even go as far as making our own bread crumbs for the breaded chicken and veal. 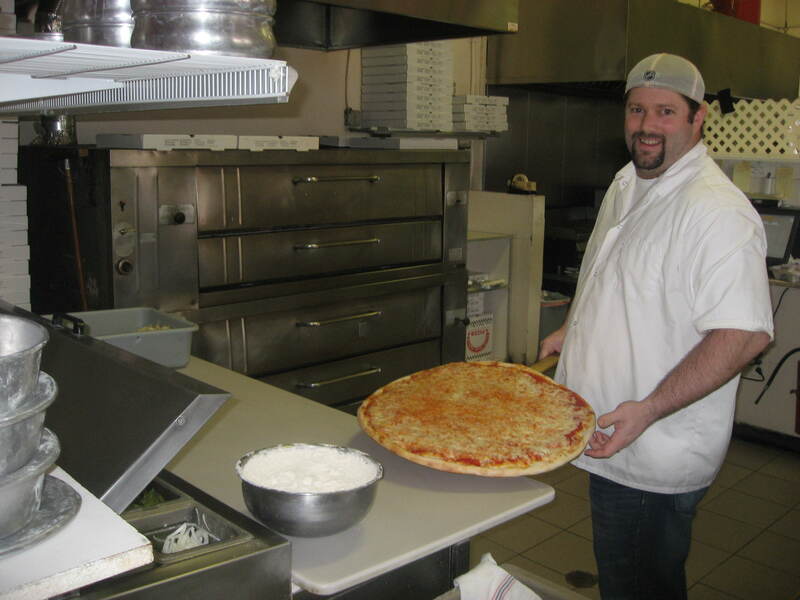 What’s so unique about a South Jersey pizzeria? We have a real loyal local customer base. A lot of customers are from the Riverside area of New Jersey. And, if you want to appease the locals, you have to serve BOOST! BOOST! is a concentrated syrup that you mix on your own. For all intents and purposes, it really is like a flat cola. But it’s been a tradition here since well before my time. So we serve it, and we drink it. You won’t find BOOST! 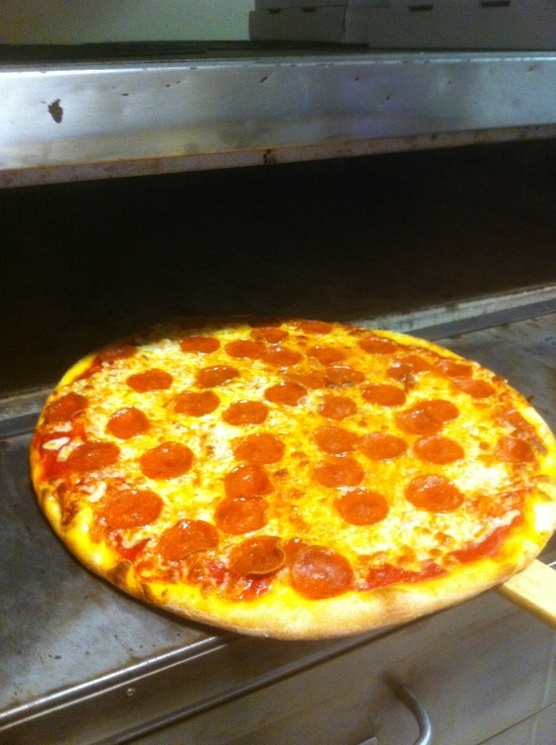 hardly anywhere else in South Jersey, let alone the state or the country, and definitely not at any pizzerias. Panzarottis are somewhat of a local thing, too, I’d say. You don’t see too much of them if you venture elsewhere. 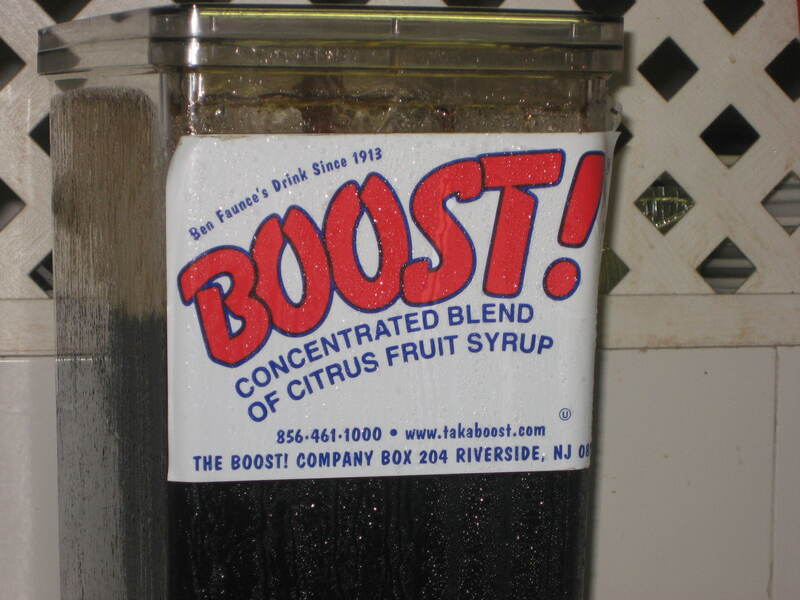 Did you grow up drinking BOOST!? I think we might have had it at my house a few times, but we didn’t know how the heck to mix it up. And I think my sister and I drank the concentrated syrup straight one time and got sick. So, that was the end of BOOST! at our house. What do you think of the big pizza chains like Domino’s and Papa John’s? Honestly, I don’t think twice about them at all. We all know what they are really: big corporate chains that aren’t offering the freshest, healthiest ingredients. I’m proud to say that our business has never ever been affected by them. There used to be a Domino’s down the street, and they couldn’t hack it and ended up folding it up. There’s a Pizza Hut way down the road on Route 130, and they don’t affect us. I’m proud to say that we offer a really high quality product, and our customers are smart enough to value good food. It’s a testament to our patrons that they love our food and support our business so much that they don’t go for the easy out and buy from cheaper pizza franchises. People know good food and support local businesses around here. That’s the way we like it. The pizza chains don’t make their money in an area like ours, and they know it. For the most part, they stay away. Heck, we don’t even deliver. That’s the kind of product we have. People who know pizza would rather swing by and pick theirs up from me than get a lower product delivered to their door. What about supermarkets in the South Jersey area? Well, that’s one niche of the industry that has been affected around here. No local stores are around anymore. And even the Acmes have folded. Acme used to be the main supermarket around town. Now it’s all Wegmans, Trader Joe’s, Whole Foods and Shop Rite. What about your kids? Any food stories with them yet? I’m always cooking Italian grub at work. So when I’m home, I often want something a little more American style. My mom makes a real great roast beef. So she helped me out with some advice when I started making my own. She instructed me to always get the eye round cut of beef, the best cut of beef, in her opinion. 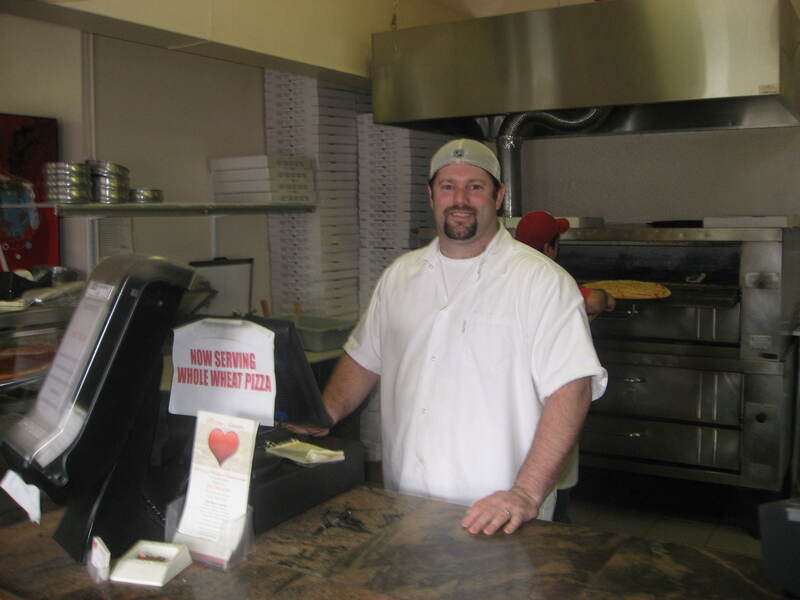 Jamie McCracken is the owner of Pizza Amore (Delran, New Jersey). 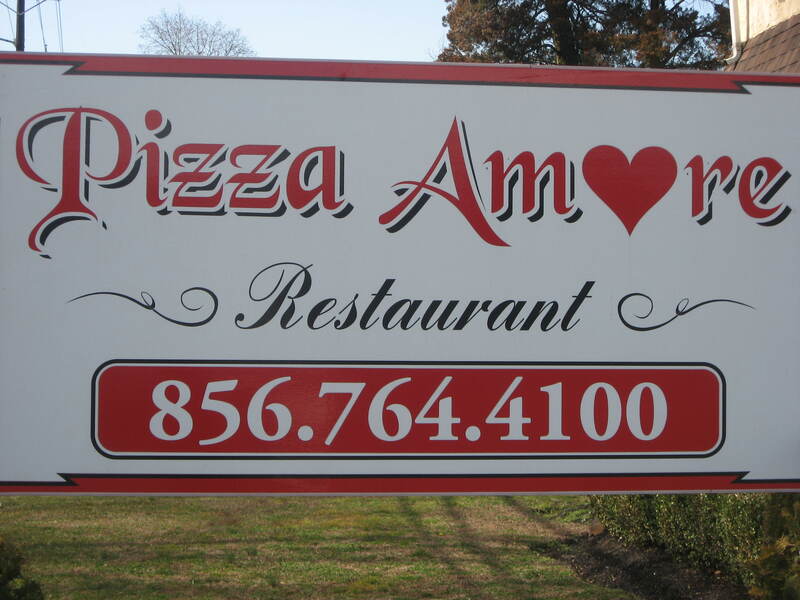 Pizza Amore is honored on a daily basis by its loyal customers, who would rather pick up their pizza instead of ordering delivery from a cheaper pizza chain. Jamie is married to his wife Daniela and has two wonderful children.